Interactive maps, charts and tables will help local authorities track their population's sexual and reproductive health. 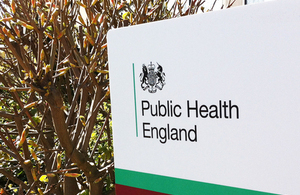 Public Health England (PHE) launched a new online data resource, the Sexual and Reproductive Health Profiles, today (1 April 2014). The tool is designed to support local authorities, public health leads and other parties with an interest in this area to monitor the sexual and reproductive health (SRH) of their population and the contribution of local public health related systems. The profiles provide data as interactive maps, charts and tables, across a range of topics, such as teenage pregnancy, abortion, contraception, HIV, sexually transmitted infections and sexual offences. Wider influences on SRH are also included, such as alcohol use, education and deprivation levels. The tool is available as open access. The local authority level indicators released mostly draw on data already available in the public domain, but includes abortion indicator data previously only released at clinical commissioning group level, and updated indicators for hospital admissions due to pelvic inflammatory disease and ectopic pregnancy. In future, the range of indicators included in the Sexual and Reproductive Health Profiles will be extended. A calendar of planned updates is available online. PHE is committed to helping our partners understand and track the sexual health and wellbeing of their populations, and plan tailored sexual and reproductive health services. We hope the Sexual and Reproductive Health Profiles will prove to be a really useful new tool for local teams to use in doing this.